Product prices and availability are accurate as of 2019-04-19 15:02:30 UTC and are subject to change. Any price and availability information displayed on http://www.amazon.com/ at the time of purchase will apply to the purchase of this product. 5 1/4" overall. 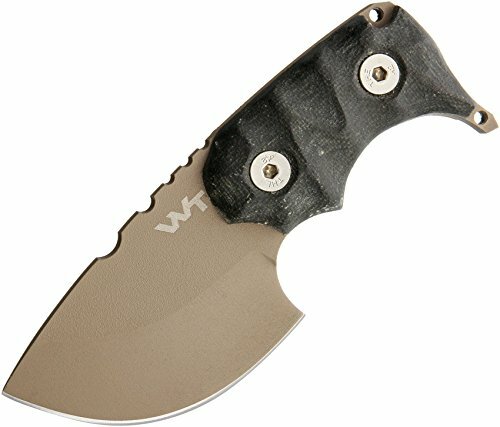 2 3/4" dark earth impact and solvent resistant Gun Kite finish D2 steel blade. Full tang. Grooved black MI carta handles with extended tang lanyard hole. Black thermos molded polymer MOLLE compatible belt sheath. Handmade in Italy.